The concert opens with Cynthia Gutierrez Garner’s playful yet poignant Shiny Things for the Mind. This spirited poke at both artistic intentions of choreographers and their often-dazed and confused audience was the hit of the company’s 2008 concert. Garner, an award-winning choreographer whose work on Gustavus students was presented in New York City this past summer, will present two other works in this concert. Urges is a lush and beautiful trio set to an altered section of Sergei Rachmaniniff’s Concerto No. 3 and is another example of Garner’s award-winning choreography. Closing the concert will be the premiere of Keep On Keepin’s On, Garner’s tribute not only to the great artists of Motown but to every family that found time in the frenzied pace of life to regroup, celebrate, and reenergize in order to continue keepin’ on. Also featured in the concert will be the premiere of two new works by long-time Gustavus Adolphus College faculty member, Michele Rusinko. 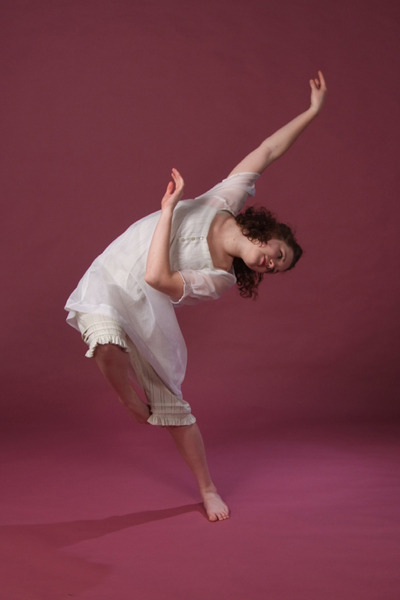 Planting Forget-Me-Nots, a theatrical solo performed by senior dance major Christine Dornsbusch, explores the timeless struggle faced by women of all generations to pursue their vocation as artists in the midst of the competing demands on their lives. Collage, Rusinko’s other new work, explores yet another dimension where art and life intersect. Featuring seven dancers, the piece explores the beauty of individuality as well as the joy of sharing common ground. Ball Strategies and Circuit One: Released, show the incredible choreographic range of Gustavus faculty choreographer, Melissa Rolnick. Ball Strategies is dynamic investigation of formalism. The complexity of the form unfolds structurally and spatially as ten dancers bounce balls to drive the dance rhythmically while simultaneously dancing. At the opposite end of the spectrum is Rolnick’s Circuit One: Released, performed by junior dance major Sarah Jabar. This dance explores the solitary journey of trying to break through the limitations that bind us to discover freedom and release through vulnerability. Completing the program is Alpaca Dreams created by guest choreographer Charlotte Adams. Originally created at the University of Iowa, this new expanded version of the piece features twelve cloaked dancers cavorting around the stage with sinister playfulness. The marvelous Beethoven score complements the racing, chasing, and stalking movements that make up this dark and mischievous dance. This colorful palette of dance features costume designs by Andrea Gross, Angie Vo, and junior Kristin Weller, and lighting design by Terena Wilkens and senior Dana Rabe.